I still can’t figure out what DOTS stands for, but I have a pretty good guess. 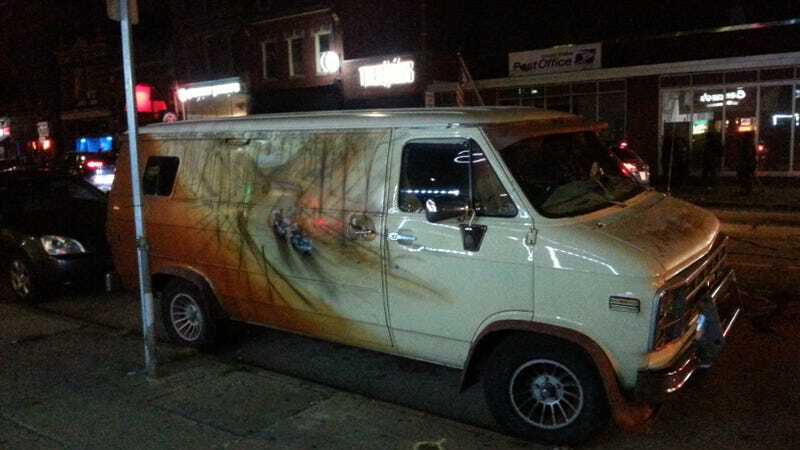 This van is rad. There’s no way in hell the T/A is getting done this fall. I am sorry, I have dishonored myself. The reason being is that my free time is going to be incredibly limited between life stuff and this sinister finance course. Work will hopefully continue, and I will attempt to crush this classwork to make some time. Engine block: Finish block disassembly, clean as much as possible, remove broken exhaust studs, timing chain swap, Freeze plug change, swap accessories, figure out where the hell all these gaskets and seals go, reassemble. Transmission: Re-teflon tape threads on cooler lines, replace rear main seal, replace pan gasket, possibly replace speedometer cable seal. Car: Wire killswitch, Heat wrap DS header, reinstall engine/transmission, fluids, cure paint on headers by running the car. Tires? Obv much more but this is what is required to drive the damn thing. I got a cemetery near my house that I can drive circles in without the cops throwing a fit.